Finn's first grade class, at the little arts-based charter school that he and Elizabeth attend, performed Yeh Shen: A Cinderella Story from China this month as part of their curriculum. 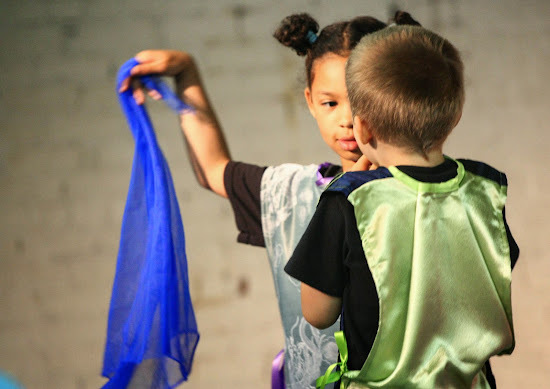 Each of the first grade classes performed a Cinderella story from a different country as part of a larger study of fairy tales and their place in various cultures. 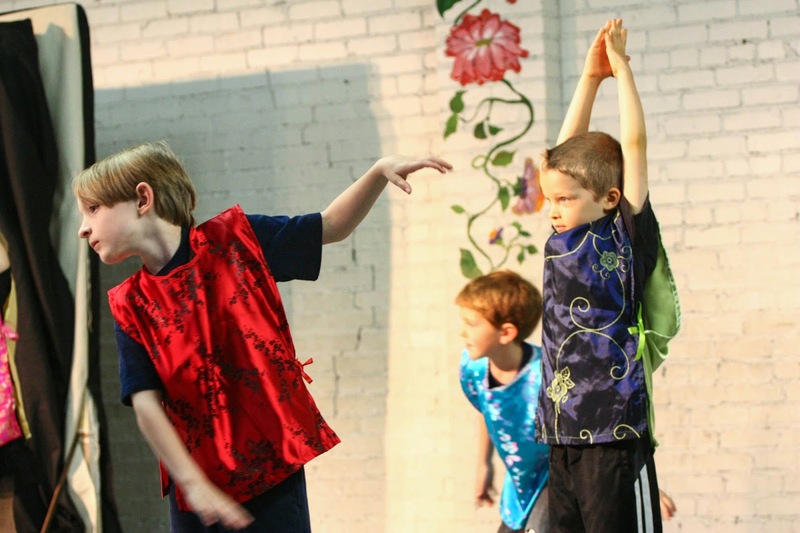 Finn's class began reading the book of Yeh Shen about 6 weeks before the play, then many times over, in different groups with different children playing the various parts, they would go over each facet of the story. Finn would come home almost nightly telling me of the part he practiced that day and who else was in his group and how much fun it was to be a guard one day and a king the next. 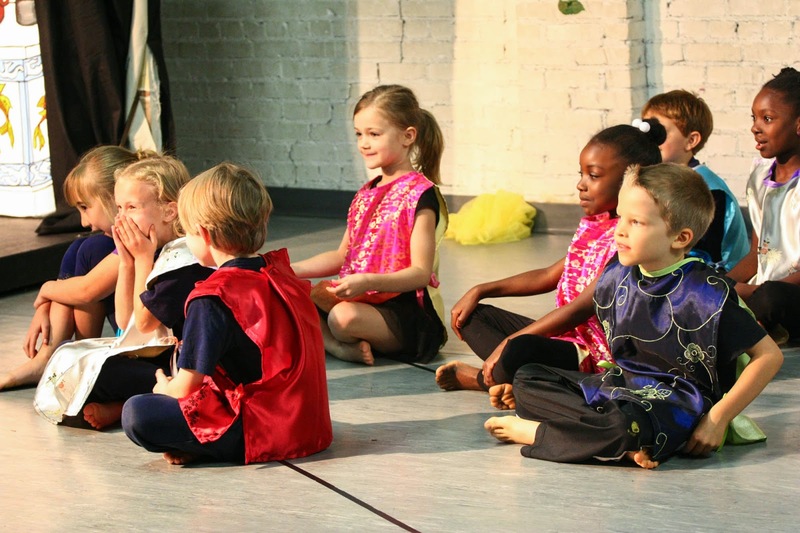 During dance class, Finn and his classmates learned out to be cattails, reaching high for the sun, and fireflies, twittering around the cattails, and frogs, jumping among the lily pads. During art class, they practiced symmetry by drawing shapes, folding their papers, holding them up to the light, and copying the shape to the other side, eventually turning these shapes into Chinese paper dragons. In music class, they learned about the music from China and a little song to perform briefly in the Yeh Shen play. During writing time, they eagerly made up their own fairy tale characters, giving them special talents and magical powers. 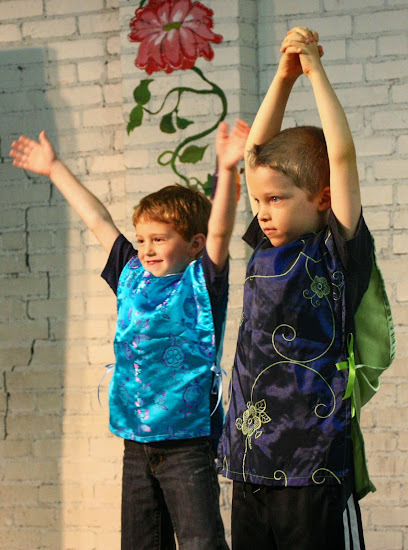 By the end of the performance, these first graders had not just experienced the music, art, and fairy tales of China, they had an intimate knowledge of a story to share with their parents through their play. I didn't see one nervous performer nor one hesitant speaker, and even the children I know to be shy, found their courage and boldly shared this tale which has become part of their life experience now. Yet another shining example of the educational accomplishment of this little charter school we've come to adore. 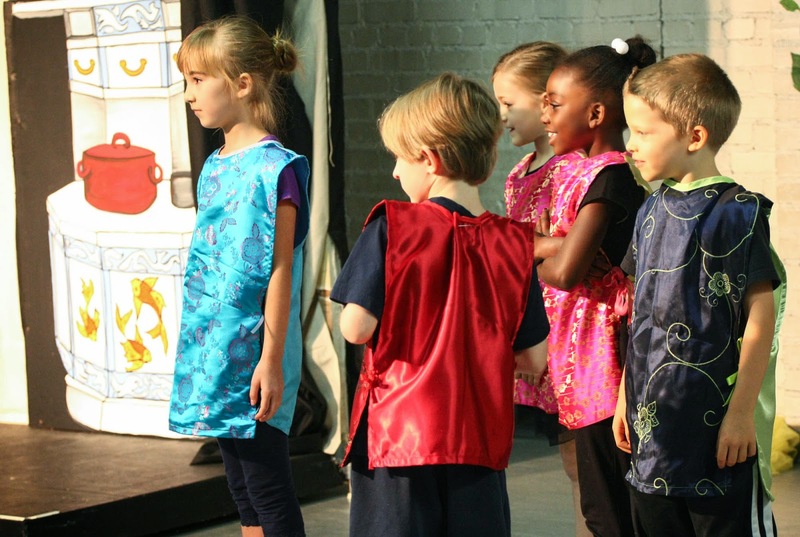 It was a wonderful performance and the children all did such a professional an impressive job. I love our school! 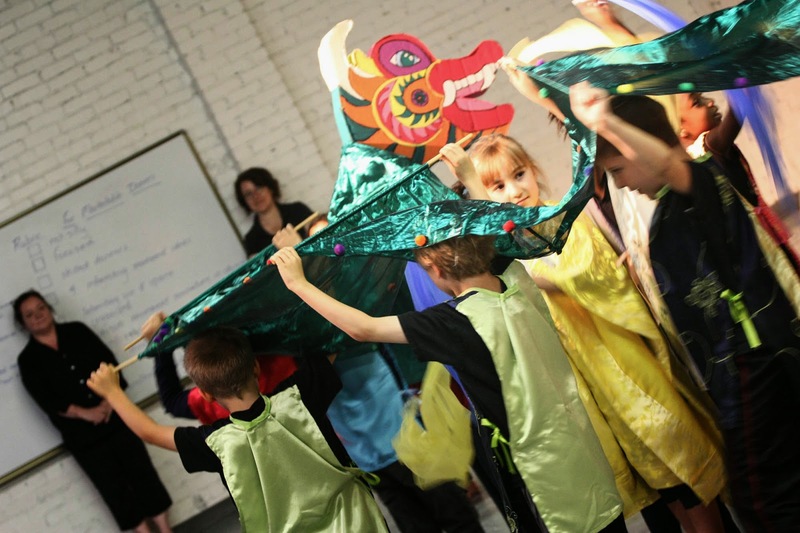 Such a fabulous way to approach all aspects of learning a topic. That school should replicate itself all over the place!